When looking at the differences between a coupe vs. sedan, most drivers assume it is the number of doors. While it’s true coupes do tend to have two doors and sedans four, this isn’t the only distinction. 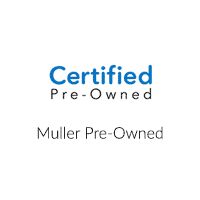 Explore all the factors that make coupes and sedans unique with Muller Honda Pre-Owned. Door Count: Generally speaking, most coupes come with two doors and most sedans come with four. Exterior Style: Besides the door counts, there are other style cues that signify a sedan vs. coupe. A coupe tends towards a sportier appearance with its shorter stature, longer doors, and longer rear windows. Sedans, on the other hand, tend to feature a more balanced profile thanks to shorter doors. Performance: Thanks to its decreased weight and size, the coupe lends itself to a sportier performance. The heavier sedan often compensates for its larger weight and size with additional engine options and suspension upgrades. Interior Size: With their longer bodies, sedans typically offer more space for rear passengers, seating for five, ample head and leg room compared to a coupe. The space available for rear passengers is typically smaller for a coupe and can usually only seat two. Cargo Space: Due to their longer body design sedans offer more cargo space than coupes. Sedan vs. Coupe: Which is for Me? If you have a larger family, more frequent passengers, or need additional cargo space, then a sedan like the Honda Accord could be the best fit. If you prefer a sportier handling and space isn’t as much of a concern, then a Honda Civic coupe may be the vehicle for you. Now that you know more about the difference between these two popular vehicle styles, explore them both in person at Muller Honda Pre-Owned. Browse our available used models and certified pre-owned, and learn about the benefits of buying used at our Highland Park dealership. Then make the drive over from Gurnee for a test drive today! 0 comment(s) so far on Coupe vs. Sedan: What’s the Difference?